Global Education and Training provides a gateway to expertise at the University of Illinois at Urbana-Champaign for partners around the world through high-quality training programs. For over 25 years, Global Education and Training (GET) has provided comprehensive educational and executive training programs to more than 7,500 students and executives from 21 countries. Their programs provide valuable opportunities for individuals from all corners of the world to develop global competencies at Illinois and prepare current (and future) industry leaders to work in diverse, international contexts. 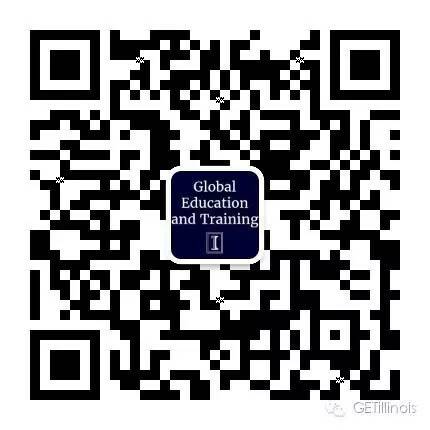 GET also has two units that report to its director, the Intensive English Institute (IEI) and the Shanghai Office. GET and IEI are located on the University of Illinois at Urbana-Champaign, while the Shanghai Office is located in China. GET builds relationships with Illinois units and departments, international companies, educational institutions, and government agencies to develop academic training programs. GET creates customized opportunities that align with the resources, needs and interests of their participants. GET implements federally funded programs in partnership with national organizations. GET advises and supports their participants throughout the entirety of their training programs. Every program has at least one dedicated full-time staff member providing management. When managing their diverse portfolio of programs, they respond to feedback and best practices across industries. GET maintains collaborative links that facilitate participant mobility and are responsive to the needs and interests of their partners. GET collaborates with national partners to both enhance and supplement academic programming with experiential, cultural visits. GET connects with local businesses, governments, and community organizations to provide “real-world” practical training experiences beyond the classroom.